Joseph is a Papua New Guinean (PNG) national who joined MAF International as a Pilot. He was brought up in PNG in a Christian home among seven other siblings. He has five sisters and two smaller brothers and is the third born in his family. As a kid he had always wanted to be a pilot and God, through His love and grace, opened doors allowing Joseph to do, and successfully complete, his whole flight training in New Zealand. Joseph got baptized and asked Jesus into his life and to be his friend in 2010. There have been many ups and downs but he managed to find his way back to the Lord and to stand firm for God and it is all because of God’s mercy and grace and kindness and undying love. We love because God first loved us (1 John 4:19); and that is why Joseph is eager to go out to the mission field and share the love of Christ. 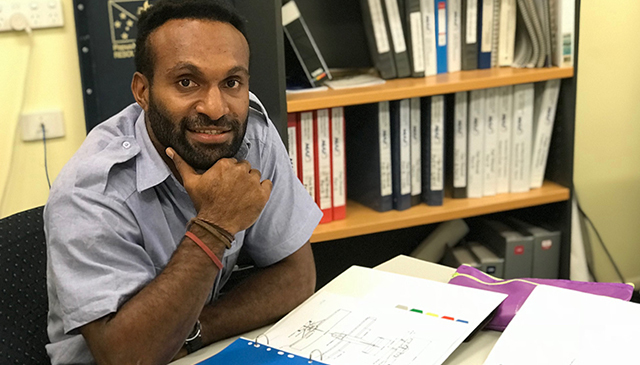 Joseph will be starting in the PNG Programme in January 2019. He has so much love for his country and hopes to grow and mature in faith and influence and change his country for the better through God’s love. Joseph is a member of MAF PNG.